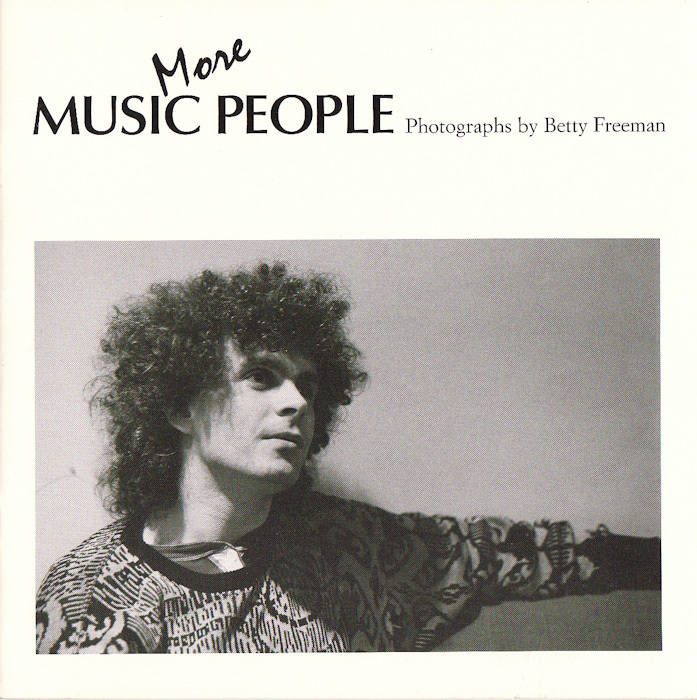 Betty Freeman’s More Music People, a series of portratis of composers, was conceived following the success of Freeman’s 1972 documentary on Harry Partch. These images are “remarkable for their candid and unposed qualities, which allows us as viewers unusually intimate views of the sitters caught unaware in moments of relaxation or intense concentration." She humanizes her subjects by showing the viewer her patrons in their own working and living environments as opposed to formally posed in her studio. The purpose of this exhibition was to “demonstrate the value of interdisciplinary projects within a School of Fine Arts," especially in relation to the University of California, Irvine. This project appeals to both artists and musicians—something perhaps a bit unusual for a photography series!